"These camps provides a safe and stimulating environment for Sikh kids to see themselves as change agents." Washington, July 25, 2017: Sikh youth and camp organizers in Washington raised the question of why Sikh women are not performing kirtan at Darbar Sahib (Golden Temple), the sacrosanct of the Sikh faith. Camp Gurmat, a week-long annual Sikh youth camp, organized by the Washington-based Guru Gobind Singh Foundation (GGSF), explored the theme of Sikh women and looked in detail at women in Sikh history. Over 120 Sikh children from ages 7-17 traveled from all over the United States and Canada to be part of this camp, which is held in a green, wooded facility in Rockville, in the suburbs of Washington, DC. 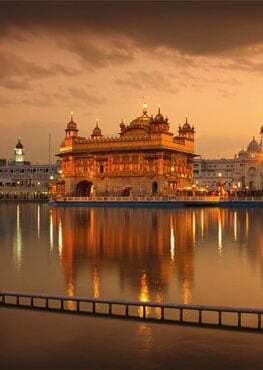 Sikh youth and camp organizers in Washington raised the question of why Sikh women are not performing kirtan at Darbar Sahib (Golden Temple), the sacrosanct of the Sikh faith. Dr. Rajwant Singh and Gagan Kaur Narang taught history to all the campers. Both researched material to keep the interest of the youth and at the same time prompt them to discuss means of implementing the gender equality envisioned by Guru Nanak. Guru Nanak spoke about the rights of women in society and advocated their full participation in all aspects of society. Dr. Rajwant Singh said, "What we have discovered is that Sikh women have played an important and critical role in strengthening the journey of the Sikh faith for the last 500 years. The first Sikh was Bebe Nanki, and she played a key role in organizing the community during its infancy, also supporting her brother, Guru Nanak Dev Ji. Similarly, Mata Khivi, who is the only Sikh woman mentioned in the Sikh scriptures, is the main person who popularized langar, a vegetarian community meal which is still in practice. Her daughter, Bibi Amro, was also installed as a Sikh preacher by Guru Amardas, the third Sikh guru." 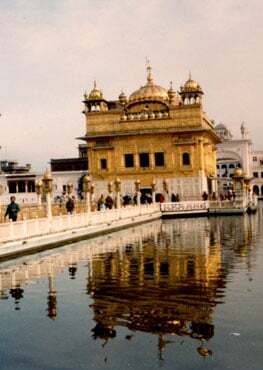 He added, "It is clear from the many other historical references that Sikh women were crucial to the success of the 5th largest religion and it is extremely important that we give them their deserving role in Sikh affairs, especially being able to sing shabads, or hymns, at the very heart of Sikhism, in Darbar Sahib, the Golden Temple." He stated, "National Sikh Campaign's recent survey showed that when Americans find out that Sikhism believes in gender equality, then most Americans have a very positive view of Sikhism. If non-Sikhs have such a high view of our faith because of this one trait, then we need to make sure we fully implement it and represent our faith to the best of our ability." Gagan Kaur Narang, an IT professional, while commenting the subject said, "Being a Sikh woman, this year's theme was very close to my heart. It gave us an opportunity to explore the most important Sikh value- equality for all! It was amazing to see our young Singhs and Kaurs get excited about learning more and more about our brave and courageous historical and contemporary Kaurs." She further stated, "Get ready to be challenged by Guru Gobind Singh's sons and daughters who will question the status quo and help us all grow closer to the vision our Gurus have shared with us all - Equality for all!! We request all parents to continue to foster the Sikh value of equality in your children. They are watching you and learning so please be watchful of your actions." Gagan Kaur teaches Sikh children at Gurmat School by GGSF. Priya Kaur Narang, an aspiring health professional, said, "I have been attending Camp Gurmat every summer since I was 7 years old as either a camper or a counselor, but this was the first year that I was in a head counselor role. Looking back, I'm happy that it coincided with the year we focused on Sikh Women. I was a counselor for the oldest girls in the camp, and got a front row seat to see how they felt about the theme. I saw many campers show excitement and joy about what they were learning, and it didn't stop in the classroom. It was inspiring to see the organic discussions that would occur through asking the tough questions and how passionate they were." She added, "One thing that I would like everyone to take away from a theme like Sikh Women is that we should recognize the brave Kaurs in our history for their contributions, and not for their relationship (mother, sister, daughter, etc.) to someone else. As Sikhs, we need to not only preach the Guru's message and equality, but also practice it to the best of our ability. And this includes speaking up when we see inequality in our houses, gurdwaras, and communities so we can better represent the Sikh faith." Sehejneet Kaur, one of the counselors who is pursuing dentistry, said, "This year's theme could not have come at a better time. Sikh women in our history carry such power and strength, yet the majority of the population doesn't know the role they played in shaping our Panth. It is so important that every Sikh know the names of each of those women so we can understand the critical hand they had in us being who we are today." She declared, "Sikhism is feminist at its very core, and if you believe in the Sikh principles and Guru Nanak's values, you are inherently a feminist. However, we are afraid because of the stigma that comes with the word "feminist". But being a feminist just means you believe that every being on this Earth is equal and should be treated as such, and this is what our Gurus believed. Sikhism is genderless, so why do some Sikhs think it is okay to go against what our Gurus preached and practice Sikhism with a sexist mind? This Panth would not be where it is today without the actions of Sikh women, so we should recognize their contributions." Both Priya and Sehejneet persuaded GGSF to have Sikh Women as this year's camp. Tejpaul Singh from Stockton, who taught Gatka to the campers and who will be pursuing a Master's and PhD in Sikh Studies at UC Riverside, said, "Punjabi culture has polluted the minds of Sikhs everywhere to a point where dowry, female infanticide, and the objectification of women has become normal in everyday thoughts and language. Negative views of women throughout media and in everyday life have taken a front seat to the Gurus' philosophies of equity and equality. We need to stop treating women like they are slaves, property, or burdens on our families and treat them like Queens and Warriors, just as our Guru's continuously remind us to." Throughout the entire week, Sikh youth sang the theme shabad "So Kion Munda Aakhiye, Jit Jamey Raajaan" written by Guru Nanak which exhorts that women be treated with respect and fairness. This shabad was discussed in detail, in addition to the philosophical aspects of Sikh theology which emphasize social and gender equality. Bhai Gurdarshan Singh selected a few other shabads which conveyed the message of God's plan of the universe, and that each and every being, regardless of caste, creed, race, religion, gender, or background, should be treated equally as part of the creation. He and Sarjun Singh, an 18 year old young college student and a Sikh preacher from Fresno, California, taught the Sikh philosophy classes at the camp. Hargurpreet Singh, Secretary of the National Sikh Center, has been the chief organizer of this camp for the last 25 years and he manages this camp with the help of over 30 volunteers and parents. He stated, "A group of 25 college-going and young professionals were the counselors who organized this camp creatively to prompt critical thinking among the attendees, as well to inspire them to take action for the betterment of the community and, ultimately, the world. Evening discussions also focused on leadership skill development among the youth. In addition to learning philosophy and history, campers also learned kirtan (Sikh hymn singing), tabla, and also Gatka, a Sikh martial art." He added, "These camps provide a safe and stimulating environment for Sikh kids to see themselves as change agents." Tabla was taught by Bhai Sucha Singh, Gatka by Jaswant Singh Bal, Harjot Singh, Japneet Kaur, Inderbir Singh and Tejpaul Singh.